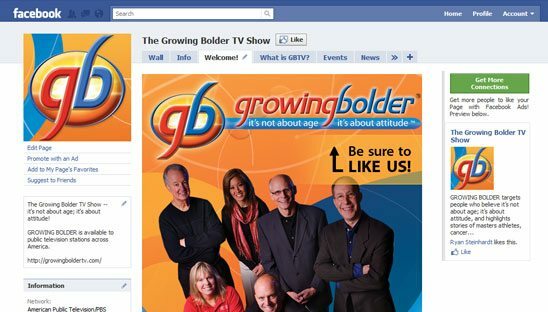 GROWING BOLDER targets people who believe it’s not about age; it’s about attitude, and highlights stories of masters athletes, cancer survivors, musicians, health experts and more – all with a common link of Growing Bolder, not growing older. We based the design a little from the website branding and put the Daddy Design touch to it. Sections added to this facebook design are: Video, fan image gallery, Social comment plugin and newsletter sign up field.